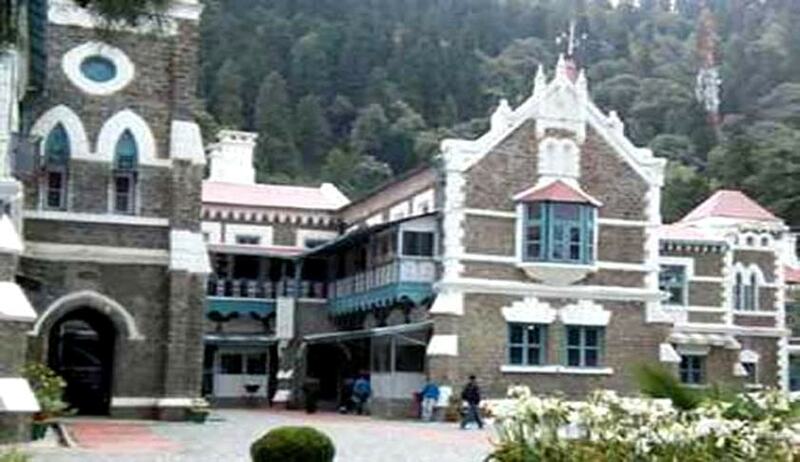 The Uttarakhand High Court in Vijay Bahadur Singh Rawat vs. State of Uttarakhand & others has issued mandatory directions to the state government regarding the reconstruction of infrastructure that faced damage due to 2013 floods in Kedarnath valley. A bench comprising Justice Alok Singh and Justice Rajiv Verma delivered the judgment taking note of the fact that children were being forced to go to their school on a makeshift path, endangering their lives, and a direction for speeding up the process of development was, thus, issued in public interest. The petitioner, Vijay Bahadur, submitted that a massive damage had been caused due to non-construction of RCC walls along the banks of river Bhagirathi and the vast area between Gyanshu- Joshiyara- Uttarkashi towns, along with the college, got severely damaged. He claimed that the development work had not commenced in a right perspective. Rawat prayed for construction of RCC walls on both sides of rivers flowing through the area more particularly Bhagirathi river. (3) Lastly, the construction of protection wall around the Reservoir of Joshiyara Barrage of Maneri Bhali, Stage-II HEP at Uttarkashi. The state further emphasised that in June, 2013, damage was caused to 2,072 roads and 258 bridges in Uttarakhand and out of 2,072 damaged roads, 2,068 were opened to traffic in a short period and rest four roads, which were completely washed out, were proposed to be reconstructed in the near future under the World Bank funded “Uttarakhand Disaster Relief Project (Roads & Bridges)”. Further, out of 101 washed out bridges that are required to be reconstructed, 25 bridges have, so far, been reconstructed. Ten bridges were under construction, 16 bridges were under tender process and the rest 49 bridges are proposed to be reconstructed under World Bank funded “Uttarakhand Disaster Relief Project (Roads & Bridges)” for which DPRs are being prepared by design and supervision consultants. The State Government is directed to complete the construction of 10 bridges, as per details given in paragraph no.7 in the supplementary affidavit dated 13.08.2014, within one year. The tender process of 16 bridges shall be completed within a period of two months from today. The remaining 49 bridges be also reconstructed within a period of one year from today. The 04 washed out roads be completed within a period of two years from today. The State Government is further directed to complete 141 roads of 966 kilometers length approved by the World Bank and 60 roads approved by Asian Development Bank, by completing all the formalities within a period of two years from today. Similarly, the remaining roads, duly approved by World Bank and Asian Development Bank, be completed within a period of three years from today. The State Government is also directed to construct RCC walls on the vulnerable points of River Bhagirathi by preparing DPRs within a period of one year from today. The already ongoing projects, as discussed hereinabove, in the reply filed by respondent nos.1 to 3 be completed, if not already completed, within a period of six months from today, including the construction of Tiloth bridge.